In United States v. Biyiklioglu, 2016 U.S. App. LEXIS 10847, at *5 (5th Cir. June 15, 2016), unpublished, per curiam, here, Biyiklioglu appealed "his conviction and sentence for wire fraud, aggravated identity theft, tax evasion, and money laundering." In the underlying scheme, Biyiklioglu "transferred money online among his bank accounts and numerous fraudulent PayPal accounts and then disputed certain transactions so as to cause double payments to his bank accounts and corresponding losses to PayPal." The scheme is more complex, but that is a good summary for purposes of this blog entry. On appeal, he raised several arguments. I address only some of the arguments and the Court's resolution. Biyiklioglu also argues that the government did not prove the second element required for a conviction under § 7201, an affirmative act constituting an evasion or attempted evasion of tax. The indictment identifies his "affirmative acts of evasion" as "concealing and attempting to conceal from all proper officers of the United States [*23] of America his true and correct income, opening multiple bank accounts, opening and using PayPal accounts in other people's names, and forming Big Stake Investments LLC and opening bank accounts in its name." Biyiklioglu argues that: (1) he did not file any tax returns or make false reports of any kind so as to affirmatively conceal his income; (2) the bank accounts were opened using his name and social security number, and the fact that there were multiple accounts did not result in greater secrecy; (3) opening and using PayPal accounts in other people's names did not conceal income because all of the transfers occurred between PayPal and Biyiklioglu's bank accounts and could be easily traced by reviewing his bank statements; and (4) Big Stake Investments and all of the bank accounts opened for it were opened with Biyiklioglu's name and social security number, so there was no increase in secrecy. "The mere failure to pay a tax voluntarily when due, even if willful, does not establish a criminal attempt to evade." United States v. Nolen, 472 F.3d 362, 379 (5th Cir. 2006). "Affirmative acts that satisfy the second element [of § 7201] may include keeping double sets of books, concealment of assets, or 'any conduct, the likely effect of which would be to mislead or to conceal.'" Miller, 588 F.3d at 907 (quoting Spies v. United States, 317 U.S. 492, 499, 63 S. Ct. 364, 87 L. Ed. 418, 1943 C.B. 1038 (1943)). "If the tax-evasion motive plays any part in such conduct the offense may be made out even though the conduct may also serve other purposes such as concealment of other crime." Spies, 317 U.S. at 499. The evidence at trial proved that Biyiklioglu created numerous bank accounts and structured elaborate transactions to defraud PayPal and to conceal his fraud from PayPal and the banks. The government, relying on this evidence, conclusorily argues that "[t]he evidence sufficiently established the affirmative acts supporting [Biyiklioglu's] conviction" for tax evasion. However, the government has not identified any evidence suggesting that a motive to evade taxes contributed to this deception, nor does the court's own review of the trial record reveal any such motive. Indeed, the government fails even to argue that Biyiklioglu was motivated by a desire to evade taxes. In United States v. Jones, we held that a defendant's "placing money on circuitous paths of cashier's checks and funneling it into a house purchased through a convoluted scheme designed to put it out of reach" was sufficient to support his conviction for tax evasion. 459 F. App'x 379, 384 (5th Cir. 2012). Jones, however, took these actions "while his tax file was in active collection," and the evidence supported the government's contention that the only conceivable reason for his conversion of fees into cashier's checks—which Jones failed to report in his financial statement to the IRS—was to evade taxes. Id. Here, in contrast, the obvious explanation for Biyiklioglu's complex and circuitous transactions was the perpetuation of his fraud, and there is no evidence that he took any action for the purpose of evading tax liability. Accordingly, we reverse Biyiklioglu's conviction for tax evasion as to counts 21 and 22. JAT Comments on Tax Evasion. Often the taxpayer's defense to evasion is that he did not willfully evade his tax liability. This is because the Government would not make the charge if it could not show the more objective elements of tax due and affirmative act of evasion.. But all acts of evasion may not be acts of tax evasion. Here, the evasion was of detection of the underlying fraud. Hence, the Court reversed. WIRE FRAUD INSTRUCTIONS - WHAT DOES DEFRAUD MEAN? Biyiklioglu first argues that the district court erred when it instructed the jury that "[a] specific intent to defraud means a conscious, knowing intent to deceive or cheat someone" because the word "deceive" did not require the jury to find that Biyiklioglu acted for the purpose of obtaining financial gain. The district court's instruction defining "specific intent to defraud" followed the Fifth Circuit pattern jury instruction verbatim. See Pattern Crim. Jury Instr. 5th Cir. 2.57. Moreover, the instruction is consistent with our precedent. See United States v. Rivera, 295 F.3d 461, 466 (5th Cir. 2002) ("A conviction for wire fraud requires proof of the specific intent to defraud or deceive."). Accordingly, the district court did not err in its definition of "specific intent to defraud" when instructing the jury on the elements of wire fraud. 1. I think that the Court gave too short shrift to the argument. Tax crimes enthusiasts will recall United States v. Coplan, et al., 703 F.3d 46 (2d Cir. 11/29/12), here, where the Court discussed the meaning of the word "defraud" in the conspiracy statute. 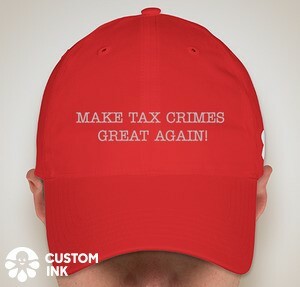 I will just state in summary the issue, although I have more detailed discussion in the Federal Tax Crimes Blog Entries and articles linked below. 2. The short version is that the word defraud used in the wire fraud statute and the same word in the defraud conspiracy statute have two different meanings via the history of their interpretations. It might help to quote each in relevant part. Whoever, having devised or intending to devise any scheme or artifice to defraud, or for obtaining money or property by means of false or fraudulent pretenses, representations, or promises, transmits or causes to be transmitted by means of wire, radio, or television communication in interstate or foreign commerce, any writings, signs, signals, pictures, or sounds for the purpose of executing such scheme or artifice, shall be fined under this title or imprisoned not more than 20 years, or both. Enacted in 1867, the original federal conspiracy statute was appended to "An Act to amend existing Laws relating to Internal Revenue and for other Purposes." (quoting Act of March 2, 1867, ch. 169, § 30, 14 Stat. 484). In the 1875 codification, the statute was moved from its place among the internal revenue measures and included among the general penal provisions. Id. at 418 n.36. In United States v. Hirsch, 100 U.S. 33 (1879), the Supreme Court held that the conspiracy provision was generally applicable to the whole body of federal law. In so holding, the Court described the prohibited fraud as "any fraud against [the United States]. It may be against the coin, or consist in cheating the government of its land or other property." Id. at 35. "It is a well-established rule of construction that where Congress uses terms that have accumulated settled meaning under . . . the common law, a court must infer, unless the statute otherwise dictates, that Congress means to incorporate the established meaning of these terms." Neder v. United States, 527 U.S. 1, 21 (1999) (internal quotation marks and alterations omitted) (omission in the original). At common law, the words "to defraud" meant to deprive another of property rights by dishonest means.17 See Hammerschmidt v. United States, 265 U.S. 182, 188 (1924); Porcelli v. United States, 303 F.3d 452, 457 n.1 (2d Cir. 2002) (noting that the "familiar common law meaning" of the term '"fraud"' involved "using falsity to do the victim out of money or property interests"). Other federal criminal statutes are generally in accord. See, e.g., United States v. Pierce, 224 F.3d 158, 165 (2d Cir. 2000) ("In the context of mail fraud and wire fraud, the words 'to defraud' commonly refer 'to wronging one in his property rights by dishonest methods or schemes' . . . ." (quotation marks omitted)). n17 In the authoritative dictionary of the day, "defraud" was defined as "[t]o deprive of right by fraud, deception or artifice." The American Dictionary of the English Language 347 (1864). "Fraud" was defined as "[d]eception deliberately practiced with a view to gaining an unlawful or unfair advantage; artifice by which the right or interest of another is injured; injurious stratagem; deceit; trick." Id. at 541. The American Dictionary of the English Language, published by Noah Webster in 1864, is, of course, not to be confused with the American Heritage Dictionary of the English Language, published by Houghton Mifflin in 1969, or any modern dictionary bearing the surname of the great American lexicographer. Now, going back to the instruction quoted in Biyiklioglu: "[a] specific intent to defraud means a conscious, knowing intent to deceive or cheat someone" (emphasis supplied by JAT). As Biyiklioglu argued, mere deception alone is not sufficient; it has to be deception with an intent to defraud -- to cheat someone. And, I would have thought, a defendant is entitled to that instruction. It is true that the Fifth Circuit cites its pattern jury instructions as being consistent, but I think that mere deception absent an intent to defraud is not an intent to defraud. If the pattern jury instructions are wrong, they are just wrong. As to the Fifth Circuit precedent, I don't doubt that the specific words were used, but not in the context of definitively resolving the issue Biyiklioglu raised. For more reading on this defraud issue (albeit in the context of discussing the defraud conspiracy), see. Further on the Second Circuit Detour on the Interpretation of the Defraud / Klein Conspiracy (Federal Tax Crimes Blog 12/18/12), here. John A. Townsend, Tax Obstruction Crimes: Is Making the IRS's Job Harder Enough, 9 Hous. Bus. & Tax. L.J. 255 (2009), here. (Although I note that the best article is Abraham S. Goldstein, Conspiracy to Defraud the United States, 68 Yale L.J. 405 (1959)).